The Spartan Training Gear Blog: The Spartans are coming to New York!! Spartan Training Gear's mission is to innovate, design, create and provide the world's best, most functional, affordable training armour to soldiers, police officers, warriors & fighters worldwide. The Spartans are coming to New York!! 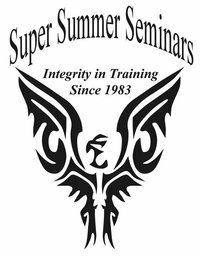 Spartan Training Gear is proud to announce that it will be attending the Super Summer Seminars in Herkimer, NY. July 15-17, 2011. Every year 200-300 instructors and students from all over the U.S. and Canada come together for a weekend of fun, friendship and training. Super Summer is open to any martial artist regardless of style, system or affiliation. Representatives of Spartan Training Gear will be on site all weekend to demo and field any questions on our Hoplite Training Armour line of products. The Super Summer Seminars martial arts camp was established in 1983 by Michael J. Campos, Director of the Zen-Do Kai Martial Arts Association. Having been involved in martial arts since 1959, and having trained long and hard in several different disciplines, Sensei Campos recognized the beneficial effects of martial arts cross-training. His goal was to create a camp for Martial Artists of any style or organization to meet and train so they could all improve by learning from each other. Super Summers has proven to be that vehicle. In addition to special guest instructors each of the approximately twenty staff instructors offer over forty seminars where the participants learn techniques and training methods as varied as Aikido, Ju-Jitsu, Pencak Silat, Escrima, Jeet Kune Do, Wing Chun, TaeKwonDo, Tai Chi, ZDK system, Shotokan, Goju, Muay Thai, Grappling, Sparring, Boxing, etc.. Additionally seminars are offered on topics like fitness and flexibility, business operations, instructional skills and the psychological and law enforcement aspects of the martial arts. Super Summer Seminars has long been recognized as one of the best camps available for program, organization, and value. Prof. Wally Jay called it "one of the best camps in the country." Scott Sonnon, was the first U.S. citizen to formally intern in the USSR with the former KGB and Spetsnaz, be licensed by the Russian government to teach Systema and earn the former Soviet Union's most coveted athletic distinction - "Master of Sport" in Sambo, serving as the USA National Sambo Team Coach and the USA Police Sambo Team Coach. An international champion in Sambo, Sanshou, Sport Jiujitsu, Submission Grappling and amateur MMA, he now focuses on coaching tactical fitness and defensive tactics to federal law enforcement agencies and military special operations units, and certifying trainers in Circular Strength Training and TACFIT. We look forward to training with you. See you in Herkimer!